I hope you'll consider joining us to fund a water project. 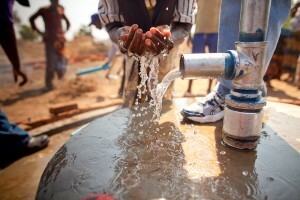 With your gifts and your support, we can provide clean, safe and reliable water to a community in Africa. Today, too many children suffer needlessly - walking miles for dirty water that makes them sick. Meanwhile we can receive water with the flick of our wrist. Instead of thinking about ourselves, we should think of the world as a community, and a community helps each other out. If you donate, the only thing you have lost is a little money, but what you've gained is far much more, respect, generosity, and you've opened a portal where someone can accomplish their goal. All it takes is your small donation of $5-$20 to help an entire community. 04/07/16 Anonymous $34.00 Great job, girls. I am so proud of you for your hard work! 04/01/16 Salty's Adventure Sports $10.00 Good work, Piper. Keep working to make the world a better place. The team at Salty's Adventure Sports in Canada supports your efforts! 04/01/16 Julie Blaufuss $103.20 Working for a better world is always a noble cause. 03/30/16 Donna Johnson $34.00 You GO girl! Good luck, Piper! 03/30/16 Shelley Bohlman $34.00 We are proud of you Miss P!